Leslie Tracey, Rev. Giancarlo Llaverias, and Cammie Jones. “Life’s most persistent and urgent question is, ‘What are you doing for others?’” These words from Martin Luther King Jr. are the call to action behind the nationwide Day of Service that takes place on the King holiday. Over 200 Bard students, along with staff and faculty members, took those words to heart as they volunteered with organizations across the Hudson Valley for the College’s Ninth Annual MLK Day of Engagement. 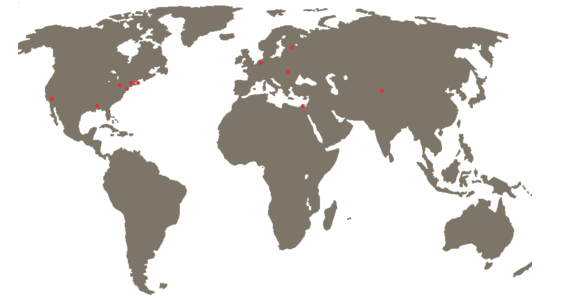 The event expanded this year, with volunteer opportunities taking place throughout the holiday weekend, as well as a mini-conference on civic engagement on campus, and a community fair in cooperation with the Red Hook Community Center. The weekend's events were organized by the Bard Center for Civic Engagement, the Office of Sustainability, and the Citizen Science Program. MLK Day of Service activities expanded this year. In previous years, Bard's service projects have taken place on the Saturday before Martin Luther King Day. This year, the program shifted to focus events on the holiday itself, in alignment with national organizing and celebration. Related events occurred all weekend, however. 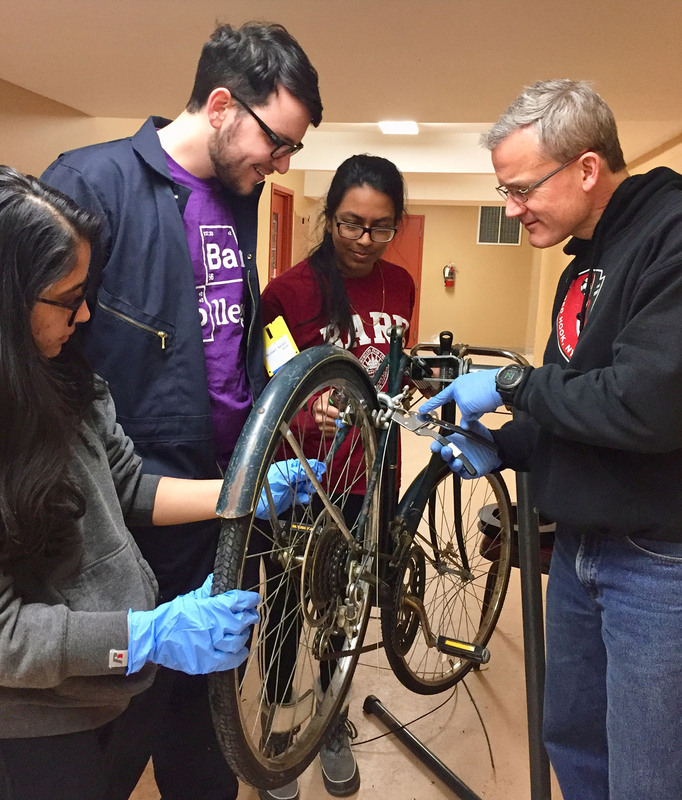 At the Repair Cafe in Red Hook, Bard students and local volunteers fix bicycles. A keystone of this year’s day of service was the Red Hook Community Fair, “Beyond Recycling: Repair, Re-Use, Rethink and Commit to Community.” More than 30 Bard students participated at the Red Hook Community Center in a day that included sustainable crafts, cooking and science activities, and opportunities to sign up to volunteer with local organizations. 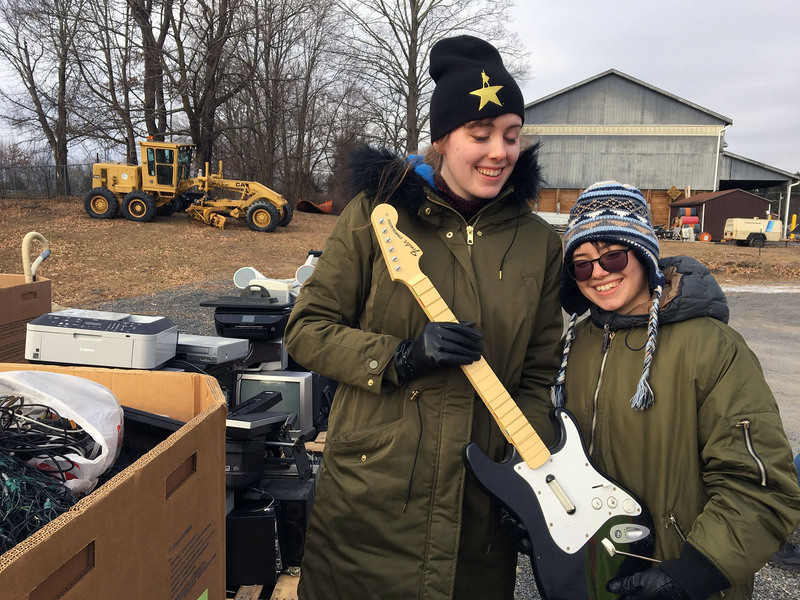 Bard Students volunteer at Red Hook's annual E-Waste Day. The conference also featured a panel of local leaders in a conversation that connected their personal stories with their civic action. Panelists included Matthew Martini, Northern Hudson Valley regional representative to the State Comptroller’s Office; Sarah Salem, Poughkeepsie Common Council member; Leslie Tracey, cofounder of the Hudson Valley African American Business Council; Rev. Giancarlo Llaverias, Dutchess County legislator; and Cammie Jones, assistant dean of civic engagement at Bard College. Bard students worked at more than two dozen sites over the long weekend, ranging from Tomorrow, Tomorrow Animal Rescue outside Hudson to the United Methodist Food Pantry in Red Hook. On Saturday, Bardians continued an annual tradition of donning work gloves and hauling old TVs, stereos, computer towers, and other electronic waste for Red Hook’s E-Waste Day. 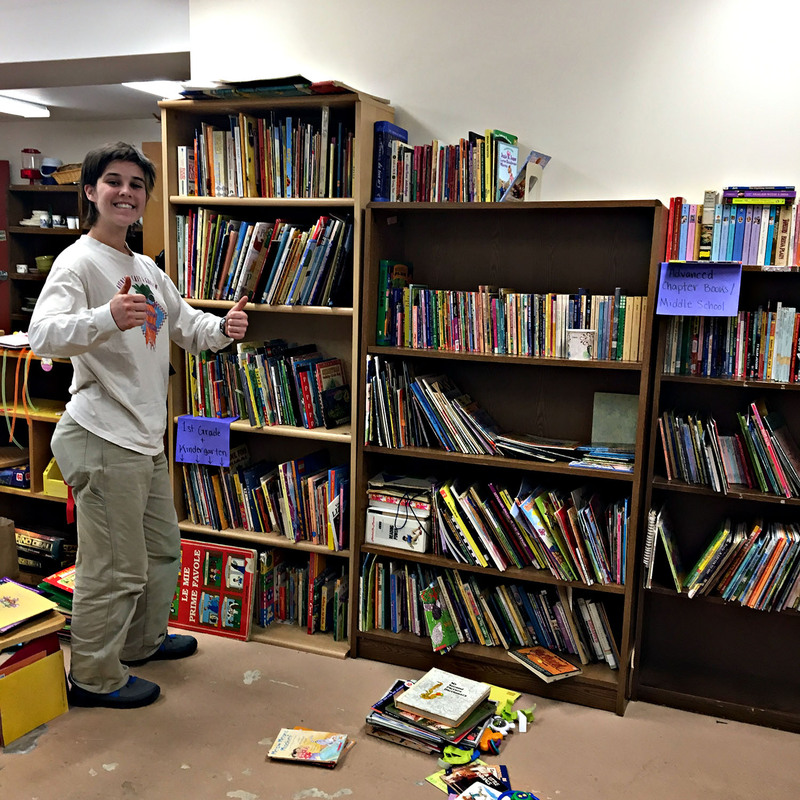 A Bard student volunteer organizes the books in the community closet at the Red Hook Community Center. In January, Bard science outreach kicks into high gear in conjunction with the Citizen Science program, culminating in a flurry of events around the King holiday. Science outreach activities take place all year through Bard’s Center for Civic Engagement, in which student leaders conduct STEM games and experiments in the Hudson Valley school districts. Volunteers and engagement fellows from CCE gave lessons to local children in conjunction with other student-led science activities around this year’s Citizen Science topic: water. 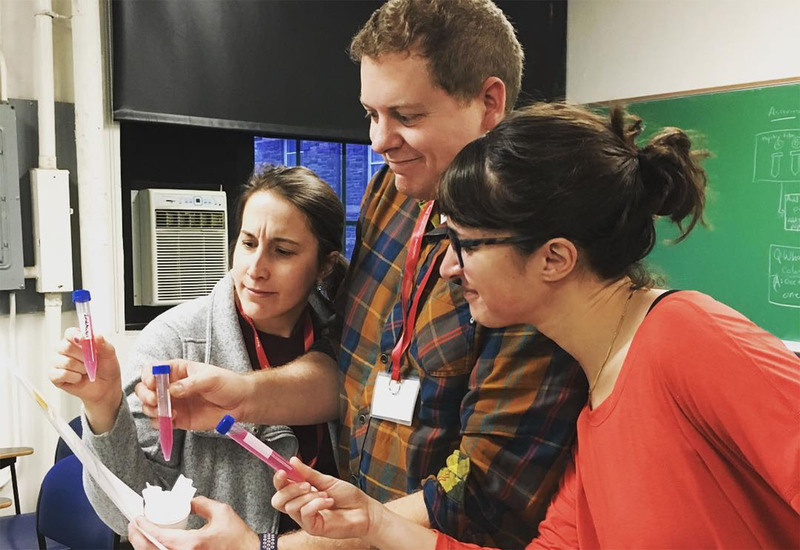 Student engagement fellows train Citizen Science faculty on their water-themed outreach experiments. Read more about the day’s events on the CCE website.